Many people have written about what lessons they learned from Steve Jobs or how he inspired them to dream bigger. But I wanted to hear it directly from someone with first-hand experience of what it was really like to have worked alongside the co-founder of Apple. 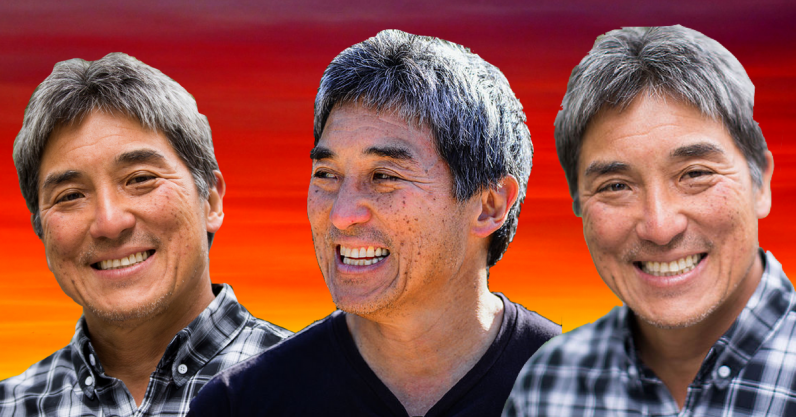 I recently interviewed Silicon Valley venture capitalist Guy Kawasaki on my podcast about entrepreneurship, startup life, and launching his tech career at Apple as the company’s “chief evangelist,” marketing the original Macintosh computer. Inevitably our conversation touched on Guy’s experiences working with Steve Jobs. Without hesitation, Kawasaki advised that one of the biggest lessons he learned from Steve Jobs was that customers couldn’t tell you how to innovate. Mostly they tell you how to make better, faster, cheaper, whatever they’re already getting from you. So, in Apple’s case, better, faster, cheaper Apple too, as opposed to Macintosh or more lately, better, faster, cheaper Macintosh as opposed to IOS device. Kawasaki also believes that Steve Jobs taught us that you have to get your product to market. You can’t wait for this perfect product at the perfect time. The Macintosh 128k back in 1984 was hardly perfect, but it was good enough to ship and once you ship you learn a whole lot more than sitting around in the echo chamber. Anyone who has endured a presentation about creativity and innovation will tell you that Henry Ford’s most famous adage of “If I had asked people what they wanted, they would have said faster horses” is trotted out at some point. But maybe both Henry Ford and Steve Jobs had a valid point in highlighting that customers don’t know what they want. My chat with Kawasaki reminded me of a Noel Gallagher interview at the Coachella festival in 2012. The former Oasis frontman spoke about his feelings around albums being made by focus groups. The singer highlighted how empowered consumers now get what they want. But keeping everyone happy by giving them more of the same could be doing more harm than good. The rise of social media has enabled all of us to live inside our echo chamber where algorithms feed us more of what we want to hear to strengthen our opinions or worldview. As a result, it is becoming increasingly difficult to analyze our sources of information and our biases. The eclectic mix of Henry Ford, Steve Jobs, and Noel Gallagher are all from very different backgrounds and generations, but when did their controversial message that the customer is not always right become controversial? Only by accepting the inconvenient truth that customers can’t necessarily tell us how to innovate can we get back to pushing the boundaries and redefining the solution.